Reduce or eliminate your dependence on glasses and contact lenses with LASIK laser vision correction. At Today's Vision we understand that each patient's eyes are unique, which is why we approach every LASIK procedure with precision and compassion. Your treatment is customized for you with your comfort, safety and satisfaction in mind. We only use the most updated technological advances with our blade-free, intralase and wavefront lasers. You'll find confidence in our experienced team of professionals. The Doctors at Today's Vision have helped hundreds of patients achieve clear vision with LASIK laser vision correction. Our unique team approach to LASIK, incorporates the latest advances in laser eye surgery technology in partnership with the finest surgery specialists in Houston. Today's Vision provides a complimentary consultation to determine if you are a candidate for laser surgery. 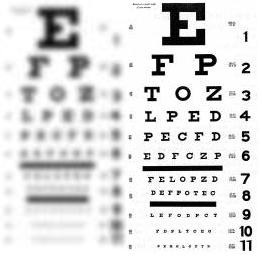 To schedule a consultation call us at (281) 991-EYES (Fairmont) or (713) 662-EYES (Bellaire).